Lombre in game: 767 Who? Important notice! Pokemon Lombre is a fictional character of humans. Lombre (Japanese: ハスブレロ Hasubrero) is a dual-type Water/Grass Pokémon introduced in Generation III. It evolves from Lotad starting at level 14 and evolves into Ludicolo when exposed to a Water Stone. Lombre is a bipedal Pokémon that is mostly green with some light blue markings. Its face, ears, arms, and back are light blue. It has stubby, round ears, large eyes with small pupils, and a red bill-like mouth. There is a large lilypad on its head, which has a notch in it and resembles a sombrero. It has long arms with four red fingers and a thumb on each hand and feet with three toes. Its entire body is covered in a thin, slimy film that composes an unpleasant sensation when touched. It is sometimes mistaken for a human child. Lombre is a nocturnal Pokémon that sleep on a bed of water grass during the day. Very mischievous, this Pokémon will tug on fishing lines from underwater and pop out to startle people. It feeds on aquatic moss that grows on rocks in the riverbed. 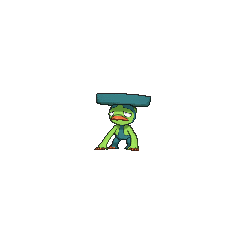 Brock's Lotad evolved into this Pokémon in Take the Lombre Home. The people in the village Ash and his friends were in claimed that Lombre would bring water back to their village. Lombre evolved into Ludicolo in Once in a Mawile. A wild Lombre appeared in A Faux Oak Finish!. Professor Oak gave it a Water Stone to evolve. 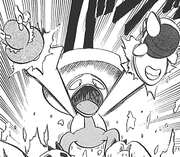 Multiple Lombre appeared in One for the Goomy!, after being startled by Team Rocket. They attacked Team Rocket and Ash's group along with Lotad. 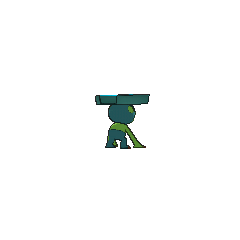 A Lombre also appeared in Pokémon Mystery Dungeon: Team Go-Getters Out of the Gate!. A Trainer's Lombre appeared in Under the Pledging Tree!. AG063 Lombre Ash's Pokédex Lombre, the Jolly Pokémon. 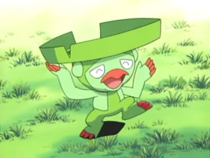 Lombre is the evolved form of Lotad. Primarily a nocturnal creature, it is sometimes mistaken for a human child. AG087 Lombre Pokémon Mystery Club's Pokédex Lombre, the Jolly Pokémon. Lombre is the evolved form of Lotad. DP139 Lombre Ash's Pokédex Lombre, the Jolly Pokémon. Lombre is a playful trickster. If it spots an angler, it will tug on the fishing line to interfere. Aqua Admin Shelly evolves her Lombre to a Ludicolo using her Water Stone whilst fighting Sapphire near Rustboro City. Pokémon Mystery Dungeon: Red Rescue Team and Blue Rescue Team: Lombre hangs around Pokémon Square. 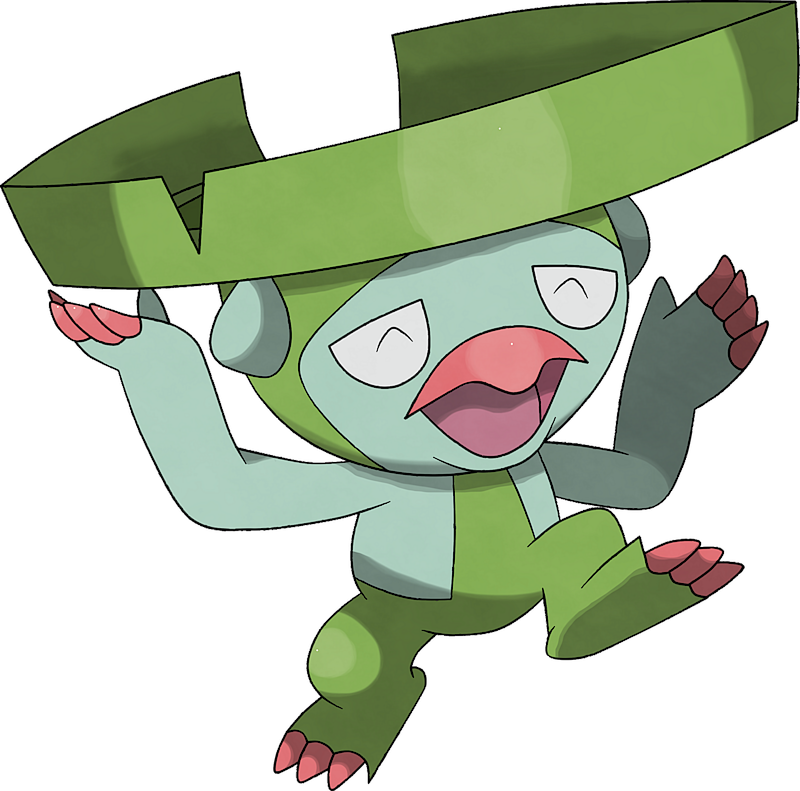 Lombre appears to like its personality, as is shown through its decision not to evolve into the carefree Ludicolo. He is also present on the Hill of the Ancients to celebrate the victory of the fallen star being destroyed, and is playfully cornered by Blastoise and the other NPC characters while the player begins to vanish. After the game is completed, he gives the player access to Stormy Sea. Lombre is nocturnal - it will get active after dusk. It is also a mischief-maker. When this Pokémon spots anglers, it tugs on their fishing lines from beneath the surface and enjoys their consternation. In the evening, it takes great delight in popping out of rivers and startling people. It feeds on aquatic moss that grows on rocks in the riverbed. It lives at the water's edge where it is sunny. It sleeps on a bed of water grass by day and becomes active at night. It is nocturnal and becomes active at nightfall. It feeds on aquatic mosses that grow in the riverbed. It lives at the water's edge where it is sunny. It sleeps on a bed of water-grass by day and becomes active at night. Lombre is nocturnal—it will get active after dusk. It is also a mischief maker. When this Pokémon spots anglers, it tugs on their fishing lines from beneath the surface and enjoys their consternation. Lombre’s entire body is covered by a slippery, slimy film. It feels horribly unpleasant to be touched by this Pokémon’s hands. Lombre is often mistaken for a human child. Moves marked with a superscript game abbreviation can only be bred onto Lombre in that game. 51%-100% HP Actually, I'm better at night. 26%-50% HP I don't like this. I lost half my HP already? Lombre not only blows bubbles, it also jumps to get away from the Capture Line. For other sprites and images, please see Lombre images on the Bulbagarden Archives. Lombre's appearance is similar to the Japanese fake creature known as the kappa. A kappa has a dish on its head filled with water that is the source of its power, called a sara, just as this Pokémon has a similar dish and uses Rain Dish to replenish itself. It also has facial features similar to the kappa, such as a turtle-like beak. It also bears some resemblance to the Amefurikozō. Lombre may be a combination of lotus and hombre (Spanish for man). It may also derive from sombrero (Spanish for hat), similar to its Japanese name. Hasubrero is a combination of 蓮 hasu (lotus) and sombrero. Its German name, Lombrero, mirrors this meaning. Mandarin Chinese 蓮帽小童 / 莲叶小童 Liányètóngzǐ Literally "Lotus hat lad"